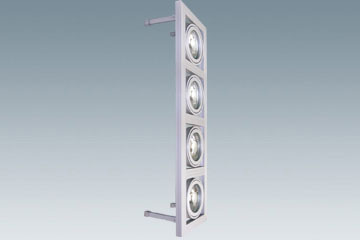 Light fixture for line voltage reflector lamp GU10 111mm. 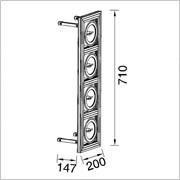 Particularly suited to ceiling or wall installations. Main body made of ultra-pure aluminum. Finish available in anodized aluminum brush.